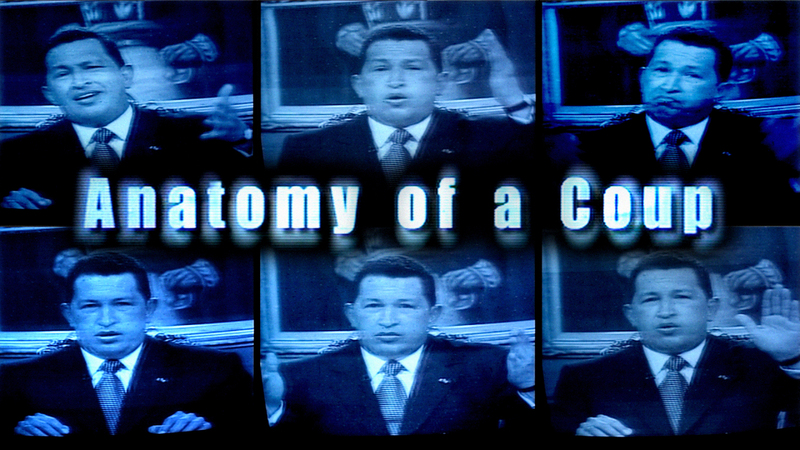 The astonishing story of how an American sponsored coup d'etat almost led to the collapse of democracy in Venezuela. Featuring exclusive interviews with the key ringleaders and extraordinary archive footage - Chavez in jail arguing with his captors, secret meetings with the plotters and soldiers storming the presidential palace as plotters escape. "The president of the republic has betrayed the trust of his people. He's massacring innocent people with snipers!" declared Vice Admiral Ramirez Perez, as horrific images of Chavez's supporters firing on protesters were broadcast around the world. It was this event that directly led to the temporary overthrow of Venezuelan President Hugo Chavez. His deposition initially appeared to be a spontaneous protest against a tyrannical leader. However, controversial new evidence suggests that the violence was orchestrated by Chavez's opponents, with the support of the CIA, in an attempt to discredit him and legitimise their coup. Perez's dramatic announcement was recorded several hours before the shootings began. The day before the protest was due to take place, CNN correspondent Otto Neustald was informed that the march would result in many deaths. He was also told that "20 high-ranking military officers will speak against Chavez and ask for his resignation." When the inevitable fatalities occurred, news footage was heavily edited to make it appear as if Chavez's supporters were firing on the crowd. In fact, eye witnesses agree that they only fired at police who were firing at them. Chavez ordered the army onto streets to restore order. They refused to obey him. Instead, high ranking army officials demanded his resignation on television. "They said we had ten minutes for the president to give himself up or they would bomb the palace," recalls eye witness Aristobulo Istruiz. Faced with such an ultimatum, Chavez allowed himself to be taken prisoner. The media was informed that he had agreed to resign. A new president, business leader Pedro Carmona, was sworn in. His first act was to suspend the Supreme Court and all other democratic institutions. Chavez's removal could not have come at a better time for the Bush administration. Two days earlier, OPEC threatened to impose an oil embargo in retaliation for America's support of Israel. This would have left the US more reliant on Venezuelan oil - something they would be loathe to do with Chavez in power, given his good relations with Fidel Castro and Saddam Hussein. It now appears that they orchestrated the rebellion in an attempt to protect their interests in Venezuela: "In June 2001, I was told by a Pentagon source that Lieutenant Colonel James Ridgers had been sent to Venezuela ... and his primary mission was to foment a coup against President Chavez," alleges former National Security Officer Wayne Madsen. Chavez's supporters immediately found themselves targeted by the new regime. The Minister of Interior, Ramon Chacin, was attacked in the street. The Venezuelan media, controlled by Chavez's main opponents, refused to broadcast any information about the growing demonstrations in support of the deposed president. This did not prevent thousands of Venezuelans risking their lives to demand the return of Chavez. "This is a dictatorship. Chavez is the rightful president. The people love him," stated one supporter. Their support ultimately led to the collapse of the coup. However no one has been bought to justice - all charges against the military ringleaders were dismissed. They remain unrepentant. Recently they called on the army to declare itself in rebellion. "The court said there was no coup. What the hell was it? To Venezuelans and the rest of the world there was a coup," complains one of Chavez's supporters. The danger is, with Chavez's position still so uncertain, it may only be a matter of weeks before there is another one.